На 7-ми октомври от 18:00ч. до 22:00ч. The first edition of Country presentation is here! We would like to invite all of you to present your countries during the semester, but before that, we’d like to show you an example of how it’s done! 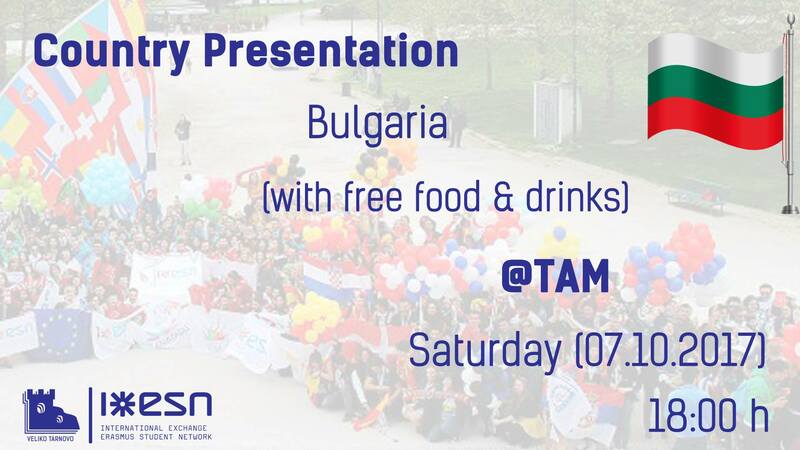 That’s why on Saturday we will present you Bulgaria fully and completely – with food, drinks, music, presentations and videos! You’re all invited, and this time there is no participation fee!